March, 2019 — More nonfiction book reviews coming soon. . . . Despite the catchy title and cover, this is not at all a book about writing formula fiction. 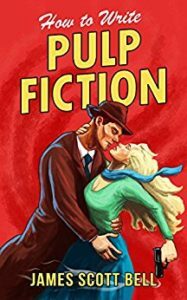 Rather, it’s inspired by the pulp fiction novelists of the 1930s-50s (think Chandler, Hammett, MacDonald) who, in order to make a living, had to write both fast and well. The book is very much about good writing, strong characters, well-developed plots and scenes. There’s a lot of practical advice and it’s great fun to read. Five stars from me — and many others. An aside for poets: No, I don’t think this applies to poetry — although sometimes it’s a good idea to write fast in order to get a draft started. But more on that some other time.